We here at Points are very excited to present the next (though, unfortunately, final) installment of guest blogger Gretchen Pierce’s three-part series on the cultural of alcohol in early twentieth-century Mexico (parts one and two may be found here and here, respectively). Gretchen is an Assistant Professor of History at Shippensburg University in Pennsylvania. The work in this piece comes from Dr. Pierce’s extensive research in the Archivo General de la Nación, Archivo Histórico del Estado de Sonora, Archivo Histórico de la Secretaría de Educación Pública, Archivo Histórico de la Secretaría de Salubridad y Asistencia, the Biblioteca Miguel Lerdo de Tejada, and the Biblioteca Nacional and Hemeroteca Nacional, both found at the Universidad Nacional Autónoma de México. The Comité Nacional de Lucha contra el Alcoholismo (CNLCA, National Committee of Struggle against Alcoholism), an institution organized by the federal government to promote temperance during the Mexican Revolution (1910-1940), called for women to aid in its campaign by joining temperance leagues and petitioning officials to close down bars in their neighborhoods. As I mentioned in the second installment in this series, bureaucrats claimed that creating a sober society was not only in the women and their families’ best interests, but they would also be aiding the Revolution’s state-building project by helping to forge a healthy, modern populace. On the surface, Camila Retes Vda. 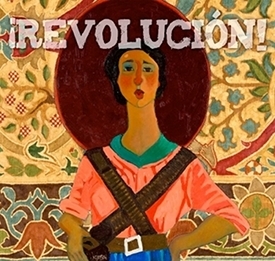 de García* would appear to be the antithesis of the CNLCA’s heroine. This Alamos, Sonora, woman not only did not fight alcohol consumption, but she clandestinely sold mescal, a distilled beverage similar to tequila, from her home in 1929. Retes and other small-scale alcohol producers and vendors engaged in this line of work, however, precisely for their families. Retes had three small grandchildren to support and she argued that she had no way to earn a living other than to sell alcohol. She also understood that the Revolution was about social transformation, although she may have defined that transformation a little differently than did officials in the CNLCA. Retes claimed to be a well-educated person from a respectable background who had simply fallen on hard times. The Revolution was supposed to help the poor advance, and laws that restricted the sale of alcohol had the opposite effect for people like her. Finally, Retes was not afraid to complain when her elected leaders seemed to fall short of revolutionary ideals, to that end, she did contribute to the state-building process. Alcohol: An Opiate of the Masses? Temperance advocates claimed that anti-alcohol measures were the height of revolutionary reform. They argued that, for centuries, the rich and powerful had taken advantage of native peoples, peasants, and factory workers by supplying them with a beverage that weakened and impoverished them. As my first two posts showed, excess alcohol consumption also supposedly contributed to the spread of disease, crime, and unhappy home lives, as well as a docile workforce. These problems led the politician Dr. José Siurob Ramírez, to pronounce that getting rid of the alcoholic beverage pulque should be considered one of the main goals of the Revolution. To reformers’ dismay, women continued working in a variety of positions in the alcohol industry, most of them small-scale, many of them clandestine. As pulqueras and mezcaleras, women produced beverages such as pulque, the fermented drink made from the agave plant, or its distilled cousin, mezcal. More commonly, women worked as meseras, or waitresses, in dispensaries like pulquerías, cantinas and small eateries called fondas. Still others sold the beverage from their own homes. Those from a slightly higher social position might own one of these small establishments. More elite women (although they are not the subject of this post), might own the plantations that the maguey plants were grown on. 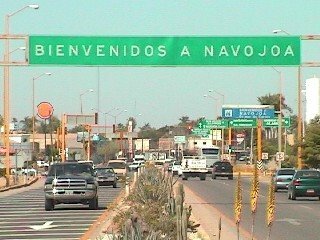 Welcome to Navojoa, liquor country. As such, many of these women resisted the anti-alcohol campaigns. At various points throughout the Revolution, leaders demanded that alcohol dispensaries close once per week, often on Sundays, so that the poor would not spend their days off imbibing, and workers at bars could have a day of rest. Manuela Jesús Montiel, of Navojoa, Sonora was an owner of a small establishment and she signed a letter, with five others, complaining that a forced closure on what had been the busiest day of the week hurt her business. Belén Camarero Vda. de Mata of Coxcatlán, San Luis Potosí, noted the injustice of being told to stop producing aguardiente, or rum, by local officials. Other women protested the high levels of taxes that they had to pay in order to sell their wares. Finally, when teachers preached against the supposed evils of drink, some mothers living in alcohol-producing zones responded by refusing to send their children to school. Political officials, teachers, and other temperance reformers could not understand why anyone would reject revolutionary reforms designed to save their families money or protect them from domestic abuse. The kindest believed that those who protested against such regulations did so because they were uneducated and lacked a class consciousness. 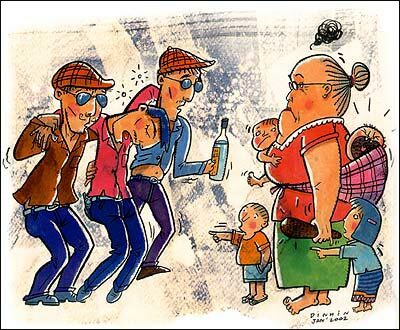 In other words, if they were simply exposed to more information about intoxicants and the problems they caused, women like Retes, Montiel, or Camarero would better understand, and then would join, the anti-alcohol campaign. Less charitable observers claimed that those who resisted the temperance movement were immoral or stubbornly bound to tradition. Either way, they seemed to represent the obstacles to the Revolution’s success in general. The protestors did not lack class consciousness: reformers overlooked the fact that often these women’s motivations were economic in nature. Those caught selling alcohol in periods when it was forbidden usually claimed to do so out of necessity. Lest these simply be interpreted as excuses, observers like the alcohol inspector Alberto E. Peraza, who one might expect to be jaded, confirmed that many of the women who sold intoxicants on a small-scale did so out of pure need. North of the border, Americans were also struggling for access to alcohol amidst economic depression. Indeed, the period from 1910-1940 was one of economic hardship for the nation. Ten plus years of warfare during the Revolution destroyed railroads, slowed down industry, and killed a significant percentage of the population who might have helped to revitalize the economy. The Great Depression, which began in the United States in 1929 and quickly made a global impact, did not help matters. Women were particularly vulnerable in this period, as they may have lost husbands or adult children in the war who may otherwise have helped to support them. Retes, for example, had three grandchildren to care for because not only was she a widow, she had no sons and her only daughter had died. 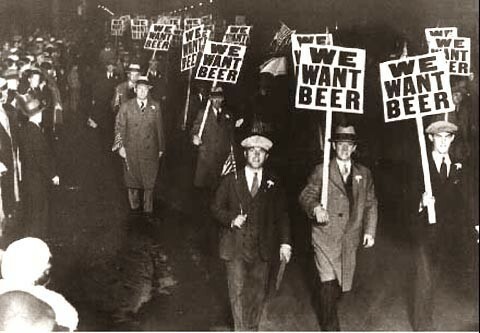 The alcohol industry weathered this economic storm fairly well, however (beer was one of the first of the manufacturing sectors to pull out of the slump in the 1920s). Furthermore, the agave plant is ideal for Mexico’s climate, as it grows in dry areas where few other crops can be sustained. Women found the business of alcohol a particularly good field to be employed in, especially if they were single mothers. Born into a patriarchal society, they may have lacked an education or much work experience, and producing, selling, and dispensing alcohol did not require much of either. Those women who sold drinks out of their homes further benefited because they did not have to abandon their child-rearing and other domestic responsibilities. With these factors in mind, it is easy to see why poor women would be drawn to the alcohol industry for employment, and why they would protest measures that sought to limit its profitability. Nor was it fair to label these protestors as immoral. Some of the complainants specifically referred to their honor. Retes, as noted above, claimed to be a “respectable person with an education from a high social position.” A group of eighteen employees wrote a letter of complaint when officials tried to shut down the Restaurant Sonora in Nogales in 1920. Located on the United States-Mexican border during the former’s Prohibition, and thus at a time when vice in border towns was high, they remarked that theirs was the only moral establishment around. Other protestors implied that they were moral when they made reference to their families. Many explained that they worked in the alcohol industry because they had small children to care for. Others, like Petra Duran, also of Nogales, Sonora, had old or sick family members to tend to. In other words, these women sold alcohol not because of a greedy desire for profit, or in a malevolent attempt to spread vice, but rather to care for those who depended on them. They also exercised their rights and participated in the Revolution’s state-building project, contrary to the assertions of temperance reformers. The sheer act of writing letters of protest against high taxes and forced closures of their businesses demonstrates that they perceived of themselves as citizens who had a right to be heard. Indeed, when sixteen female and male owners of small fondas and other alcohol dispensaries complained about their taxes, they called them “anti-commercial, anti-social, and anti-constitutional,” as the tax code favored large businesses with a great deal of capital. Additionally, if one of their leaders treated them in a manner that seemed unfair, they were not shy about approaching another. These small-scale pulqueras, mezcaleras, and meseras understood that although the anti-alcohol campaign may have been designed to help the working class, measures that sought to limit the alcohol industry did anything but help them.